On this page it is explained how to search the database. 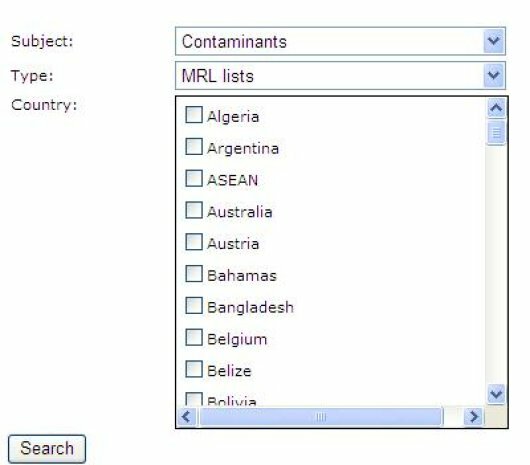 To search the database, enter a subject, type and/or country. You should at least fill in one of the fields. It is possible to select countries by checking the box(es) in front of the name(s). For all countries do not check any. For subject and type, you can only make one selection, but by leaving the field blank, you will get all options. After submitting your search, you will get a result page. On this page, all results are presented with some general information. For the following query; an example of the generated Results page and Details page is shown below, as well as an explanation of the included items.